UST operator training in Michigan is required by federal law and is intended to ensure that those who own and operate underground storage tanks understand how to operate and maintain UST systems properly. Michigan Class A operators have primary responsibility for on-site operation and maintenance of a UST facility. This individual is generally the owner of the station or the designee. For large corporations, this person is the manager or designee responsible for tank operations. Michigan Class B operators have responsibility for the day-to-day aspects of operating, maintaining, and record keeping of a UST facility. This individual (or individuals) is generally the owner or the person/company contracted by the owner to maintain the tanks. For large corporations, this person is the employee, or person/company contracted by the corporation to maintain the tanks. Michigan Class C Operators are the first responders to emergency situations at a UST facility – like a gas station or convenience store. These individuals are usually the clerks of a facility. The Michigan Department of Licensing and Regulatory Affairs (LARA) – Bureau of Fire Services – Underground Storage Tank (UST) Program has been designated to protect public health and the environment through oversight, investigation and cleanup of soil and groundwater contamination caused by releases from USTs. This program includes regulatory activities and oversight of the design, construction, installation and maintenance of underground storage tanks storing regulated substances. Effective October 3, 2012, Michigan Executive Order 2012-14 (PDF) transferred all authority, powers, duties and functions of the Aboveground Storage Tank Program (AST), The Underground Storage Tank Program (UST) and the Gasoline Tank Truck Test Program (627 Program) from the Department of Environmental Quality (DEQ) to the Bureau of Fire Services (BFS) within the Department of Licensing and Regulatory Affairs (DLARA). The Michigan Underground Storage Tank (UST) program includes regulatory activities and oversight of the design, construction, installation and maintenance of underground storage tanks storing regulated substances. The regulatory authority is under Part 211, Underground Storage Tank Regulations, of the Natural Resources and Environmental Protection Act, 1994 PA 451, as amended, and the rules promulgated under the act. The Michigan UST program includes regulatory activities and oversight of the design, construction, installation and maintenance of underground storage tanks storing regulated substances under the Michigan Underground Storage Tank Rules (MUSTR). In addition to MUSTR, new tanks and piping shall comply with the Storage and Handling of Flammable and Combustible Liquids (FL/CL) Rules. 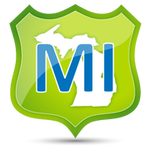 Michigan Administrative Code – Part 211, Underground Storage Tank Regulations – R 29.2108 Owner/operator training. Section 280.13. Operator training. Effective August 8, 2012, every facility having 1 or more UST systems subject to the requirements of R 29.2101 to R 29.2175 shall have a class A operator and class B operator. A Class A operator shall maintain a list of all current employees who are trained class C operator and produce documentation verifying training at time of inspection. Class C operator. Class C operators shall be trained by the facility class B operator, or other acceptable training source. At least 1 trained class C operator shall be present during facility operating hours. Michigan has not yet been granted state program approval (SPA). Michigan requires Class A and Class B operator every 5 years. If a UST system run by a Class A Operator has been determined to be out of compliance with significant operational compliance requirements, the class A operator shall receive on-site retraining by a hazardous materials storage inspector. If a class A operator who does not bring his or her regulated UST systems back into compliance within 60 days shall take the examination for a class A operator again. 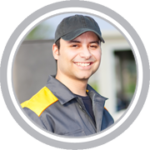 We offer online UST operator training in Michigan for: Detroit, Grand Rapids, Warren, Sterling Heights, Ann Arbor, Lansing, Flint, Dearborn, Livonia, Westland, Troy, Farmington Hills, Kalamazoo, Wyoming, Southfield, Rochester Hills, and many more! Detroit, Grand Rapids, Warren, Sterling Heights, Ann Arbor, Lansing, Flint, Dearborn, Livonia, Westland, Troy, Farmington Hills, Kalamazoo, Wyoming, Southfield, Rochester Hills, and many more!